Well we did have a busy weekend on the Feast of Christ the King! It was also the weekend that we celebrated the contribution of our young people, through ‘National Youth Sunday’. The aims of National Youth Sunday are to help parishes celebrate the life, mission and ministry of our young people in their faith communities. We are especially blessed at St. Alban’s with young people engaged in all aspects of Parish life. 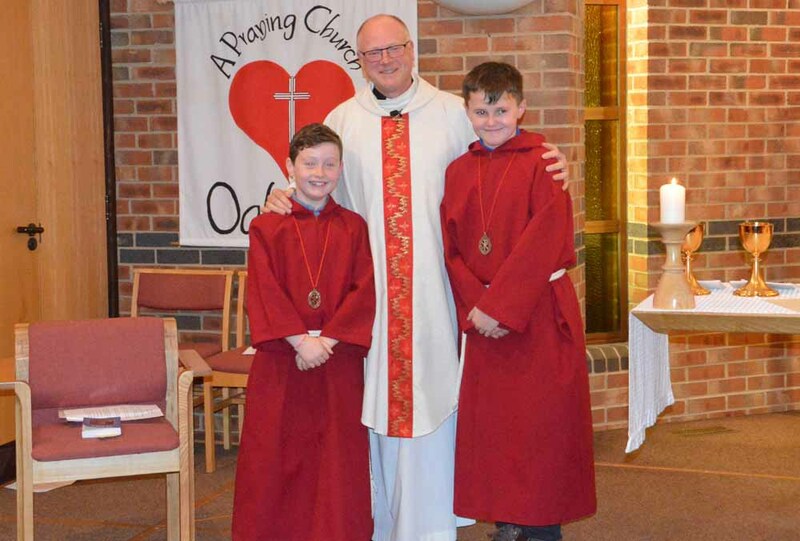 We also celebrate the contribution that our Altar Servers make to the celebration of our Masses, not just this weekend but throughout the year. 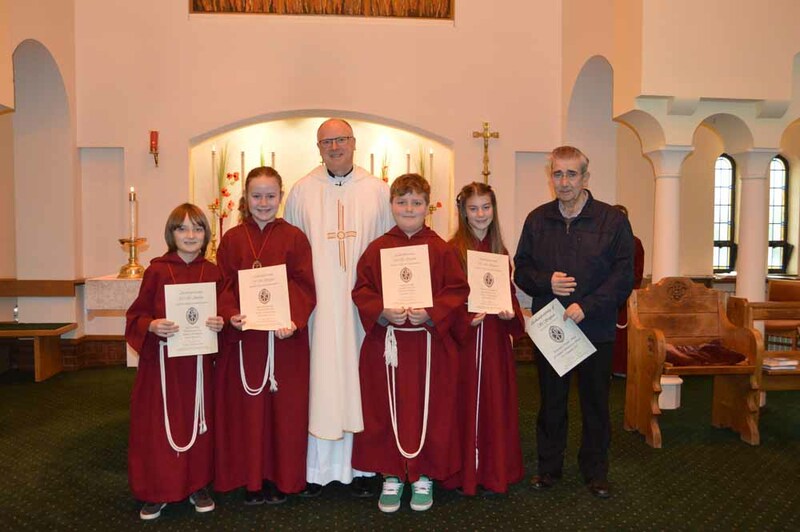 On this occasion seven of our altar servers were enroled into the Guild of St Stephen and presented with a bronze medal of honour. All of them have been serving at the altar for over 12 months now. Before enrolment the servers undertake additional preparation to be capable and confident to serve a celebration of mass on their own. The enrolment into the Guild is also importantly a sign of their ongoing commitment. 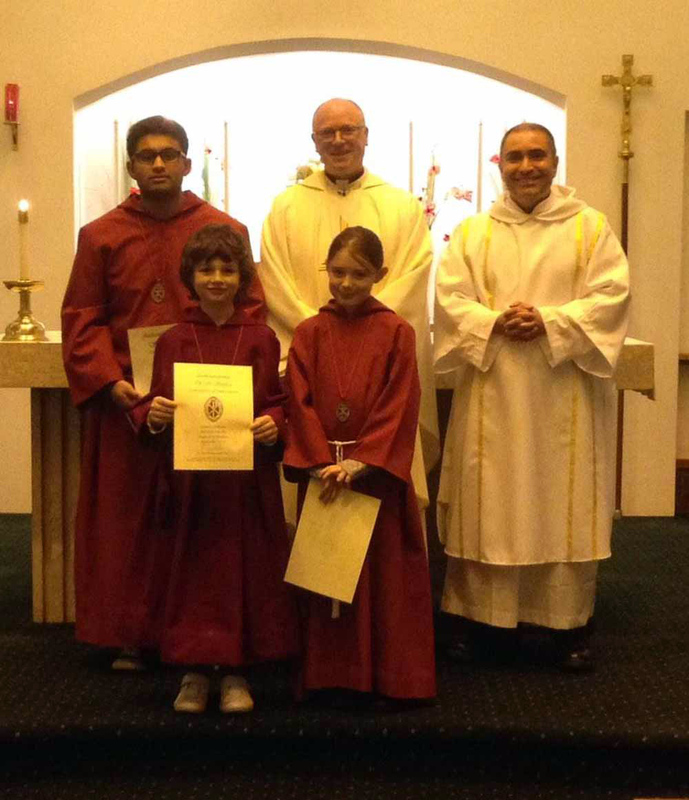 We now have twenty young altar servers at St. Alban’s and The Church on Oakwood (Catholic congregation). All existing members of our parish Guild of St. Stephen renewed their own promises at the enrolment. Two special recognition certificates were awarded, one to Sanju Sabu for five years Guild membership and Ronnie Smith for his commitment, serving at many of our Weekday masses. Our newest and youngest servers were also formally welcomed. Saturday Vigil Mass saw a special certificate for Sanju for 5 years service. While Cara and Alastair were enroled. Sunday 10am Thomas, Millie, Charlie and Ellie-Grace were enroled, whilst Ronnie received a certificate for special service. Joe was enroled at Oakwood.